A Christmas movie that dares to be different, this one does take us to the North Pole, but it offers up a story about friendship, with no villains, and a light-hearted adventure seeking premise. This is a wonderful gem of a Christmas movie. It’s got a fairly simple story about a boy who no longer believes in Santa Claus, until a train pulls up right beside his house, ready to take him to the North Pole. The boy hops on and begins his adventure in a train car filled with other kids who are going through the same experience. And then the action starts. The train gets into all sorts of trouble, including a rollercoaster ride of sorts as it barrels through the sides of mountains while hanging onto the tracks, and an escape on an ice covered lake right at the moment that the ice starts cracking. It’s all with the goal of reaching the North Pole ahead, only once the characters do get there, we find plenty more adventures and exciting twists still to come. The characters go on a mission to explore Santa’s village and workshop and every new door leads to a new adventure. This movie goes against conventional storytelling in all sorts of ways, (for example, there is no villain, and there is no clear mission,) and all of it works. Here’s a movie that truly captures the Christmas spirit and does it in some of the most exciting ways. 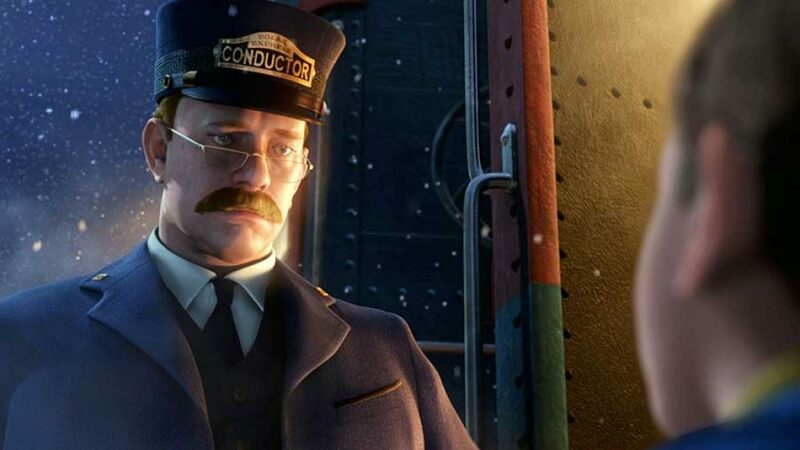 The Polar Express is a fantastic Christmas movie. It’s a film that does pretty much everything right, including having a simple story, having loads of exciting and creative action, and telling the story from a kid’s point of view. The lead characters are simply known as “hero boy,” and “hero girl,” and that tells you something, right there. This is a movie where anybody can envision themselves as the protagonists and where the lead characters are basically the kind that can be embodied by any kid. And the movie is visually stunning. It is one of the first CG animation, IMAX 3D movies, done with motion capture. This movie is an absolute spectacle, and what’s best about it is that it’s pretty unique, telling a story without any villains or obvious mission. This one just exists to capture a fun experience and the Christmas spirit in a new way, unlike anything we have seen before. The movie opens with Hero Boy lying awake at night, on Christmas Eve, tucked into bed, listening for Santa. He’s not extremely young, about ten years old or so, and he’s questioning whether or not Santa really exists. Tom Hanks does the voice over narration, but we really get the sense of his suspicion when the boy goes over to a stack of articles he has cut out, and starts leafing through them. Each one shows a different story about Santa not being real, from a kid discovering the truth when he holds up his father’s Santa Claus costume, to a kid in a department store yanking the fake beard off Santa, to an article about department store Santas going on strike. The face on Hero Kid during these scenes shows that he think adults who dress like Santa to try and fool kids are no longer going to be fooling him. But then something happens. The kid goes back to sleep, (leading to the possibility that everything next is all a dream,) and suddenly a loud and blaring train shows up on the tracks that run right passed his house. The boy runs outside in his bathrobe and slippers and stands beside the train as it stops. Tom Hanks is out there, playing the conductor, and announcing that this is the Polar Express and it is headed to the North Pole. 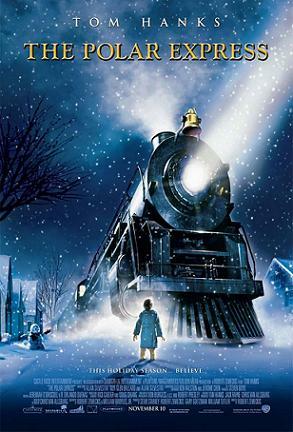 When the boy questions if he is supposed to be getting on board, the Conductor reads from a list and recites some facts about the kid, including that he did not write a letter to Santa this year, he did not show up to any department stores to meet Santa, and he made his little sister set up the milk and cookies beside the Christmas tree. Clearly this kid has lost his Christmas spirit and needs to get on the train. And that’s exactly what he does. Once on board the train, the kid meets a number of characters. He enters a train car packed with kids, all dressed in their pajamas and bathrobes, just like him. There’s a black girl who is incredibly kind and friendly (known as Hero Girl, and then there’s a brainiac kid who seems to spit when he talks and is filled with facts about everything, starting with what kind of train they are on. This kid is called “Know It All.” Our protagonist has many questions for the other kids about where they are really going and what’s going on, and they wonder why he doesn’t believe that they are going to the North Pole. If the criteria for getting on this train was that you had to be someone who stopped believing in Santa, then it doesn’t seem like every kid there fits the criteria. In fact, the only other kid we meet who clearly does fit it, is the next character this bunch comes across. He’s a kid named Billy (also known as Lonely Boy,) and our Hero Kid watches out the window as the Conductor gives him the same speech that the protagonist received just a little while earlier. Billy is doubtful about getting on the train, and at first he decides not to. The train leaves and that’s when Billy decides to run after it. Only he can’t catch up and ends up falling in the snow. Our Hero Kid pulls the emergency stop handle and the train comes to a screeching halt. This enables Billy to get on, sitting by himself in a dark and lonely back car, but it also gets Hero Kid into some trouble with the conductor. Once that issue is resolved and the Conductor learns the reason for the stop, it’s time for hot chocolate! This comes in the form of jumping, dancing waiters performing a musical number up and down the aisles while a machine is rolled into the train car to crank out that magical chocolatey drink. It quirts out through the air and lands in each kid’s cup while the waiters jump on tables and bounce off walls. This is a fun number, and by the end of it, the kids realize that Billy didn’t get any hot chocolate. They go to talk with him and hear his story about how “Christmas doesn’t work out for him.” If there’s a mission to this movie, it will be to help this kid out and let him see that even though he has clearly been through some tough times, there is still good out there and friends to celebrate with. Not long after the hot chocolate / Billy situation is resolved, or at least explored, a new conflict arrises. Our Hero Girl doesn’t have her train ticket. It blew out of the train car and Hero Boy was unable to stop it. We travel with the ticket outside the car, and through the dark of the night. We fly with it through the air as an eagle catches it in his beak and then soars around with it. The eagle drops it in his nest where a baby bird picks at it to the point where the ticket rolls up into a ball and then gets tossed out to start rolling down a hill collecting snow. The journey of the ticket is a lot of fun. It’s a diversion from the story, but a pretty cool visual experience and definitely a worthwhile moment. And then comes the real physical conflict. The train faces all sorts of terrifying disasters. First it’s the kid having to ski down the roofs of the cars as the train barrels up the side of a mountain. Then it’s the train starting to fall apart as the kids just try to hold on while still on the roof. This sequence has the tracks appear right in front of us, as if they are on a roller coaster. It is pretty spectacular. Then things get even worse. The train cars start to fall apart right as the train rolls over a huge sheet of ice. The ice starts breaking all around them. All of this is fantastic. The movie is an adventure, and it’s these ten minutes or so, where the kids are diving through one hoop after another, that really captures this. And then the kids arrive at the North Pole, and we are in the final third or so of the movie. Here’s where we get a little more into Billy’s story and where the kids (the three of them,) decide to explore Santa’s workshop. If you think the excitement is done just because these kids have arrived at their destination, boy are you mistaken. There’s a chute the kids fall down, which is meant for presents and looks like a giant bobsledding tube. This spits the kids down it head first, with nothing to hold onto as they slide around on their stomaches. Then there’s a shuttle car they climb aboard, following a pack of elves, which blasts them off into an area where they have no control. And then there’s the suspense of seeing who Santa will give the first gift of Christmas to, as he stands beside the giant tree in the middle of the square. The Polar Express is a fantastic Christmas movie. There are many movies that take us to the North Pole to get a glimpse of Santa’s workshop, (from Elf to Rudolph the Red Nose Reindeer to Fred Claus,) but this one does it in a way that makes you really feel like you are a part of the experience. Here, the journey to get to the North Pole is just as exciting as actually being there. During the course of that journey we explore every part of the train, from the warm cars inside to the snow covered roof, to the engineers car where the train is being driven from. Similarly, once the kids arrive at the North Pole, it is all about curiosity and sneaking around Santa’s workshop to see what is really going on. The only negative to this movie is that we don’t get enough answers to questions about Billy and what he is dealing with. It’s the one area that doesn’t feel like it gets explored enough. Other than that, this is a pretty fantastic film.